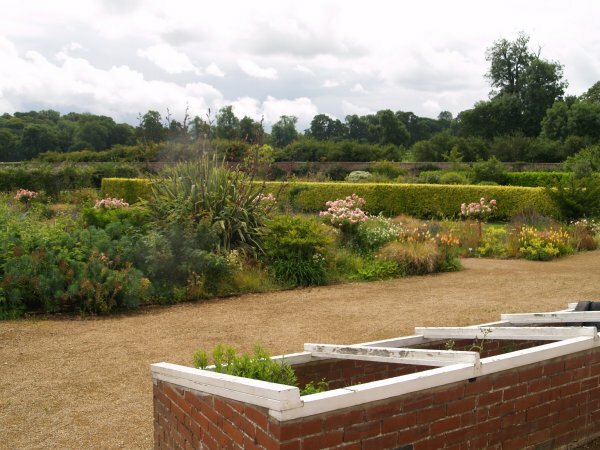 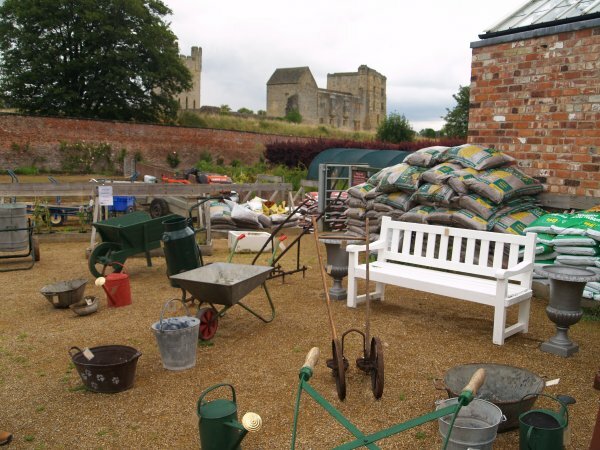 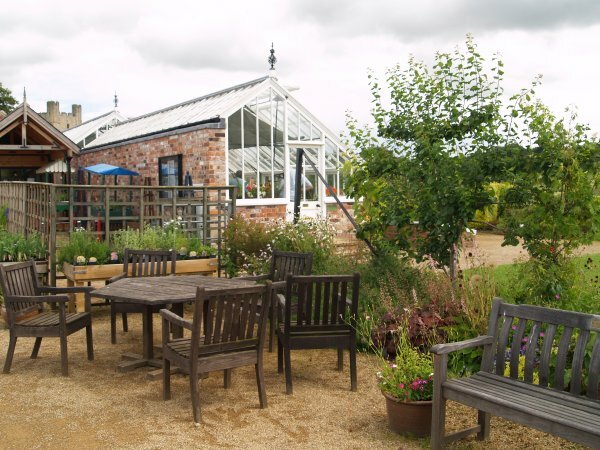 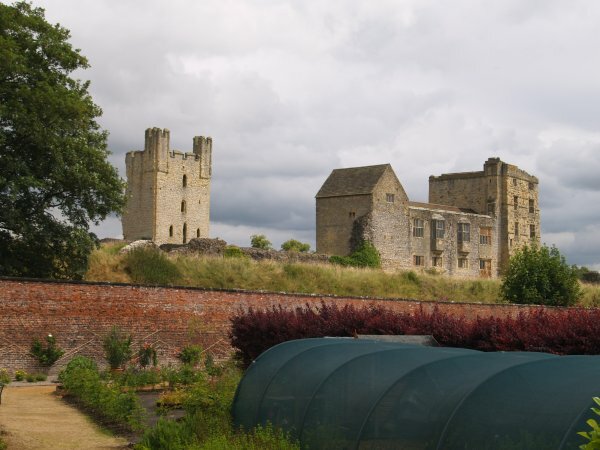 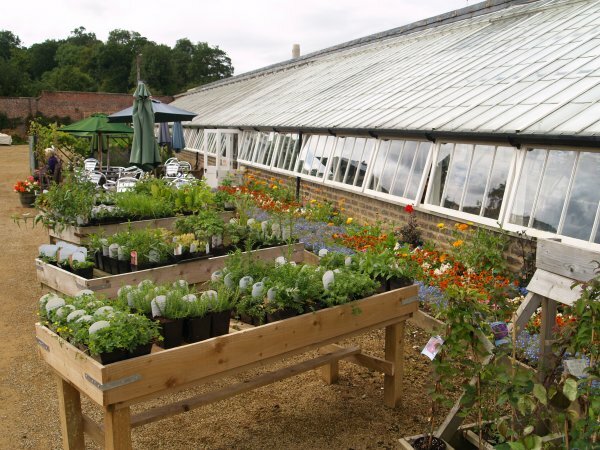 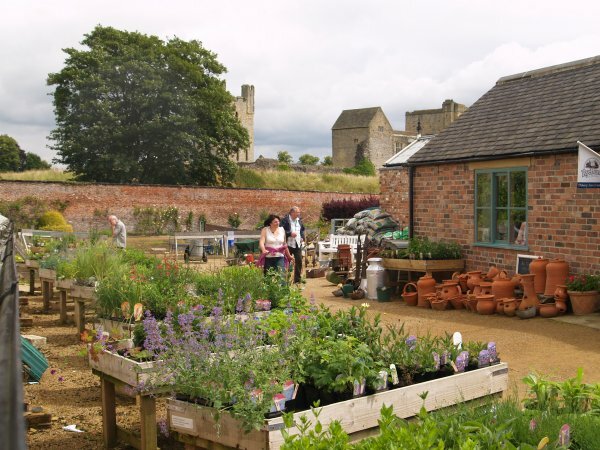 A good place to start is the cafe in the Walled Gardens and its array of plants for sale with the spectre of Helmsley Castle looming over the gardens. 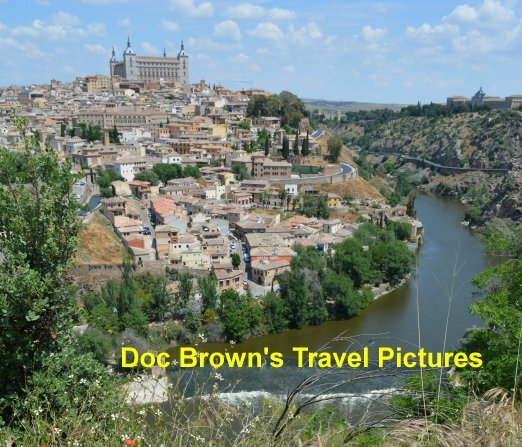 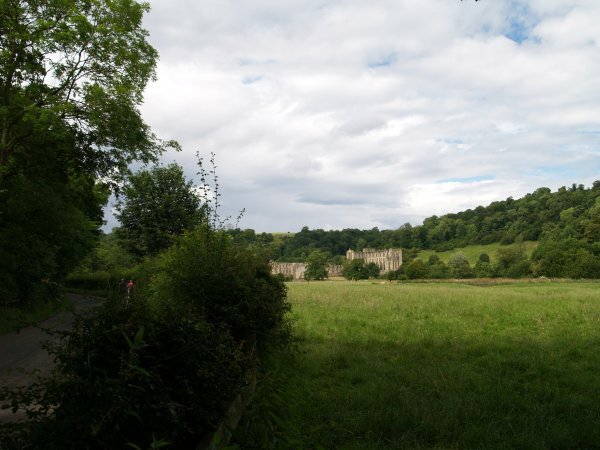 It is only a short walk from the main car park. 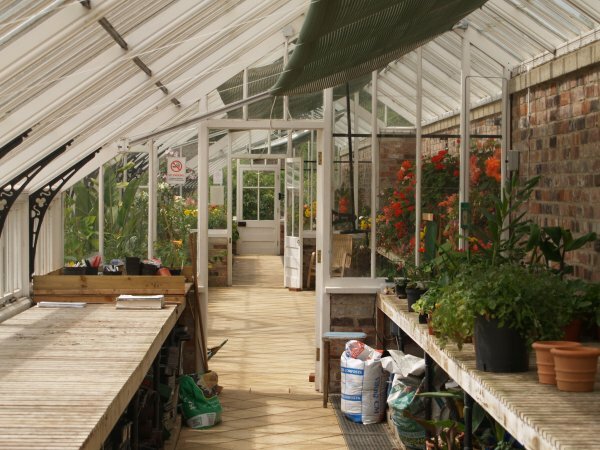 The cafe is housed in a sort of greenhouse itself! 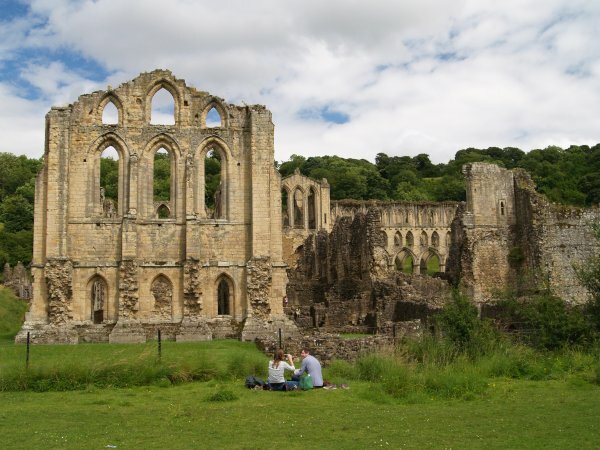 You turn left out of the cafe and head on up the track towards Rievaulx Abbey. 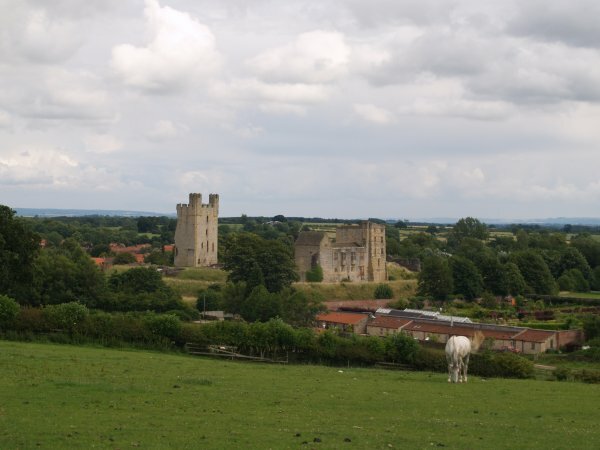 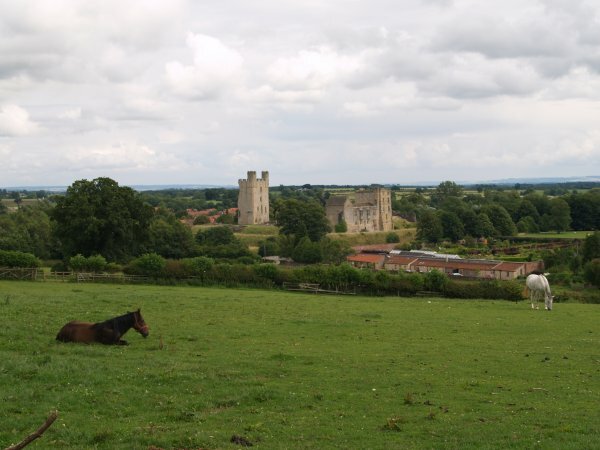 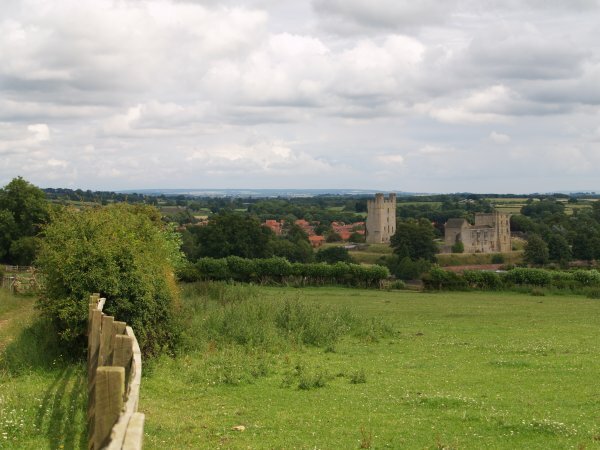 On the way out of Helmsley there are great views back over the town and castle. 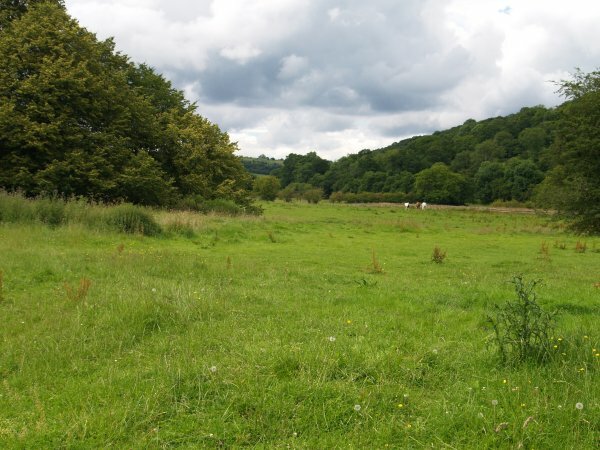 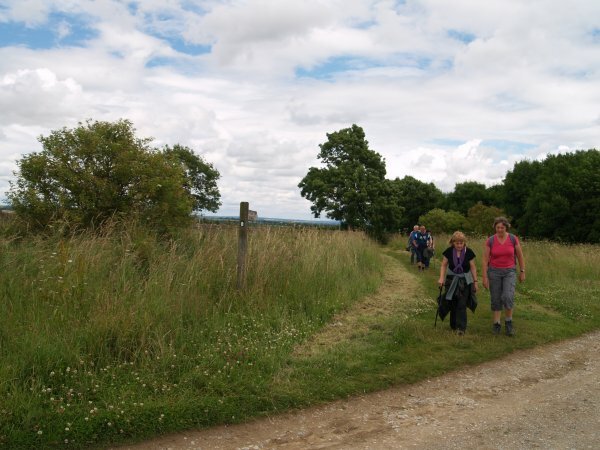 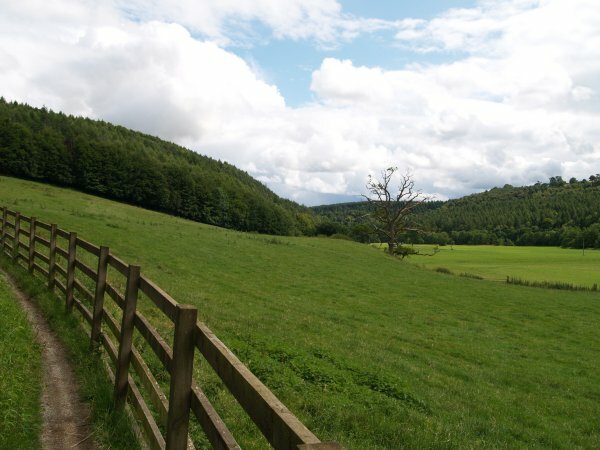 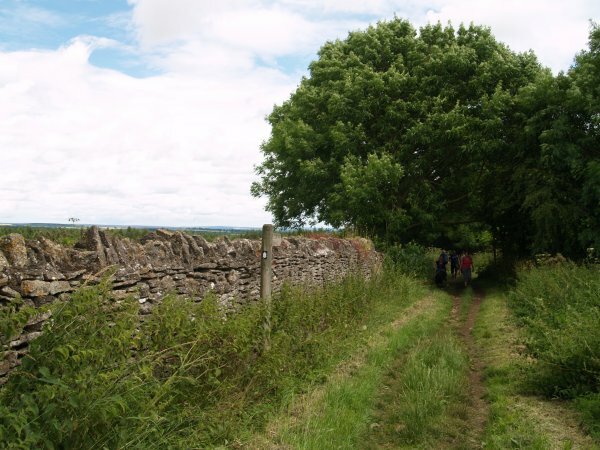 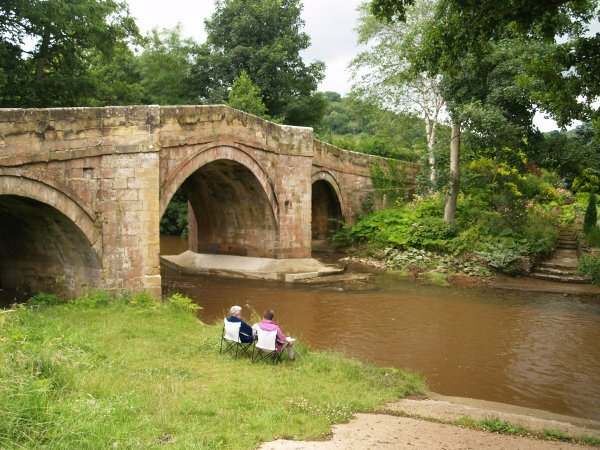 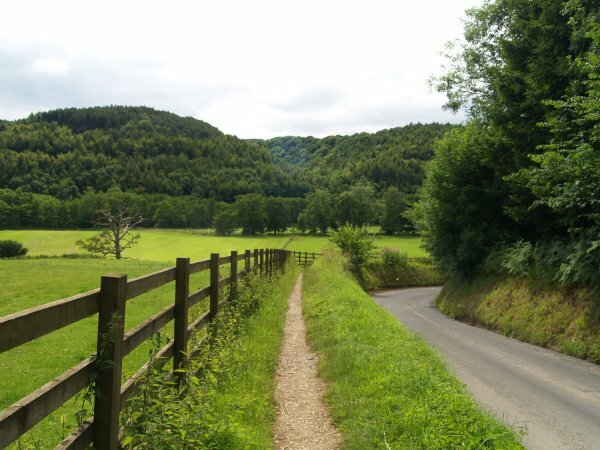 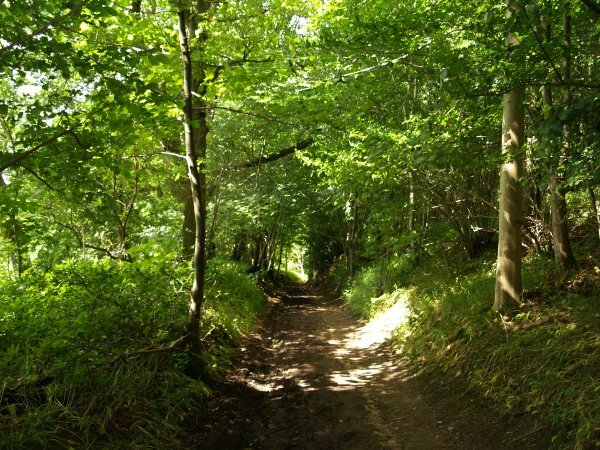 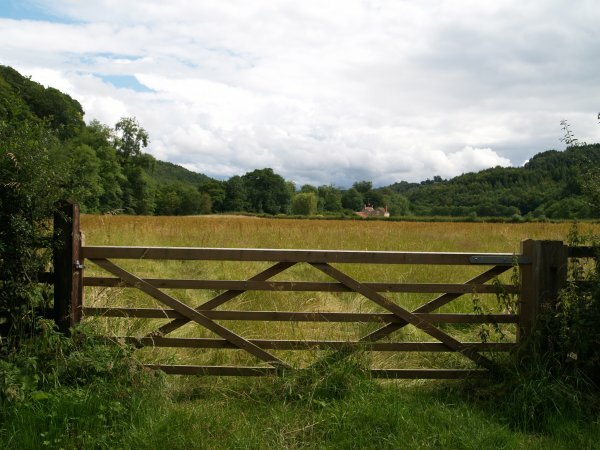 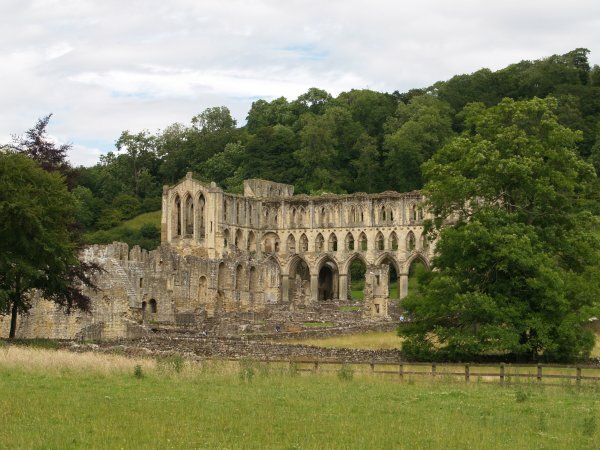 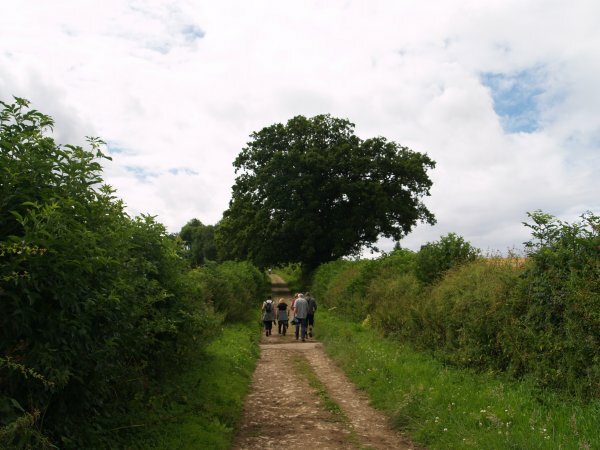 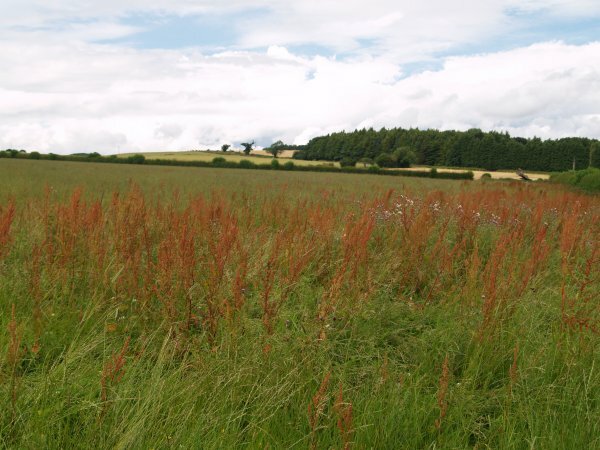 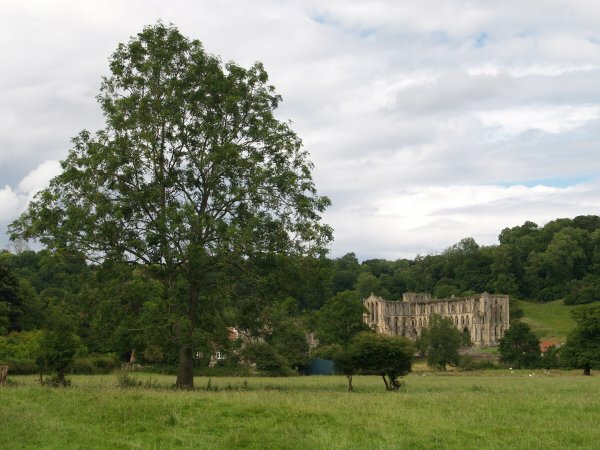 The tracks and paths to Rievaulx Abbey are well signposted and provide a most pleasant easy walk. 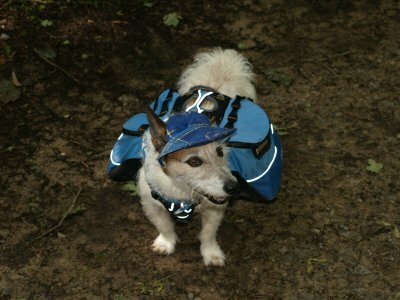 We passed a lovely little dog who was well equipped for a walking expedition. 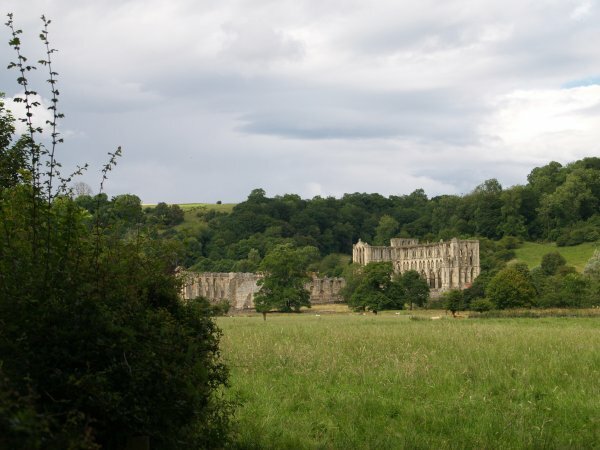 Meeting the road down into Rievaulx from Helmsley. 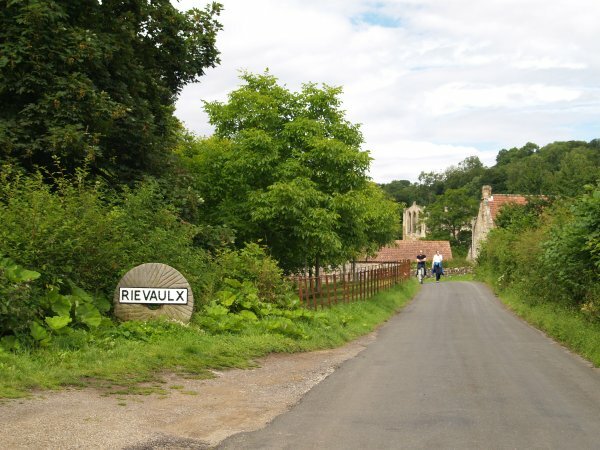 Rievaulx Abbey first comes into sight as you walk along the Helmsley - Rievaulx road to Rievaulx. 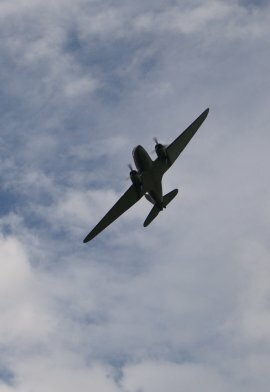 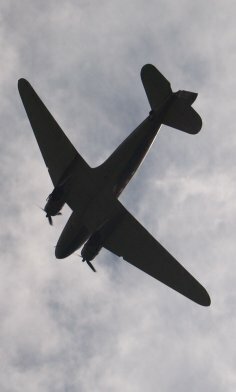 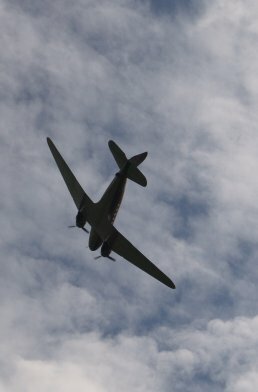 As we were having a lovely picnic, in a most historic and meditative scene when the peace was shattered as an old DC3 flew over!